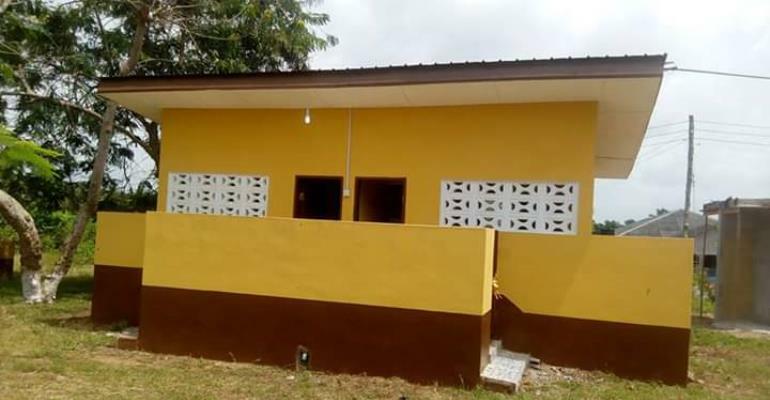 The Jomoro Municipal Assembly in the Western Region has handed over a 6-seater water closet (WC) toilet facility to the Ehoaka M/A Basic School to enhance sanitation. The Ehoaka M/A Basic School has been in dire need of toilet facility for so many years. The situation has compelled school children to cross the busy road to town to ease themselves. The Parent And Teachers Association (PTA) have made several appeals to successive governments to come to their aid but fell on deaf ears. The story has changed for the better as the Municipal Chief Executive (MCE) for the area, Hon. 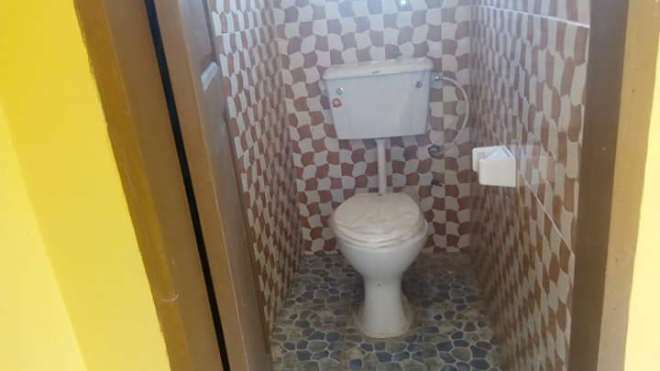 Ernest Kofie officially handed over a newly built 6-seater WC toilet facility to the leadership of the school. Hon. Ernest Kofie, indicated that the support is a demonstration of government's commitment to improving sanitation across schools in the municipality. He therefore charged the Chief, teachers and students to take proper care of the facility and regularly maintain it to the best standard. Whiles calling on the students to take their studies seriously, Hon, Ernest Kofie additionally donate 69 pieces of school uniform to the Ehoaka Junior High School and promised to do same for the primary school. "I call on all children here to be disciplined, attend school regularly and be serious with their studies. Being healthy is the greatest thing to have as individuals and as a community. We must all develop the habit of routinely cleaning our schools, homes, workplaces and open please and we must properly dispose of the waste we generate properly, ” he said. The Chief of the area, Nana Besiyi II, expressed his profound gratitude to the MCE and the Assembly for the unflinching support. He also called on his subjects to rally behind the MCE and the NPP government to bring more developments to the area. The chief seized the opportunity to appeal to the government to enrol the school onto the School Feeding Program to help increase enrollment at the basic level. 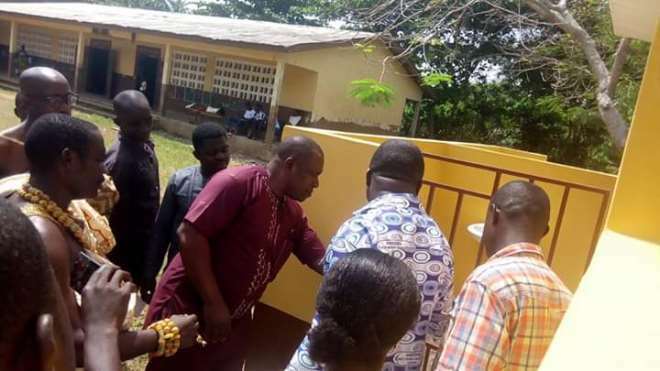 The Municipal Education Director, Mr. George Effah hailed the MCE for the kind gesture and said the facility will go a long way to help improve sanitation. He added that the facility would also improve quality education in the community. Mr. Effah stressed that education was the best investment parents could provide their children and therefore appealed to other NGOs and prominent people to emulate the MCE and do same for other schools in the municipality.